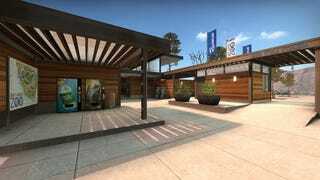 Squad and Yanzl turned the San Francisco Zoo into a Counter-Strike map. I've been to that zoo. I really like that zoo! I don't know how to feel about this. At least it appears that all the animals have scampered to safety behind soda machines and potted plants, as is nature's way. The Steam Community Showcase is a regular look at the cream of the Steam community's boundless crop. Art, videos, guides—whatever. Each installment highlights a specific piece or person. If you find anything cool on Steam or would like to have your work featured, drop me a line.